In many ways, baseball was perfectly suited to the Japanese. Before the Meiji Era, the very idea of recreational sport was nonexistent in Japan. The physical arts that were practiced were military in nature: swordsmanship, archery, horse riding, etc. Some say that these Japanese arts lacked a team element, and this new game fit well in a culture where group harmony is paramount. Maybe it helped that baseball has, at its heart, a powerful one-on-one confrontation between pitcher and batter, not unlike Kendo, Judo, Sumo and other martial arts. Perhaps it helped that the baseball bat could be handled much like the wooden swords used in Kendo. Many say that the complexity and strategy of baseball, and the time to consider strategy before and after each move, is what makes baseball so appealing to the Japanese. What is clear is that baseball has reached a place of prominence in Japan that nobody could have foreseen. In Japan the peak heat of summer has passed. But every morning you can still hear the cicadas. And the pigeons and crows. 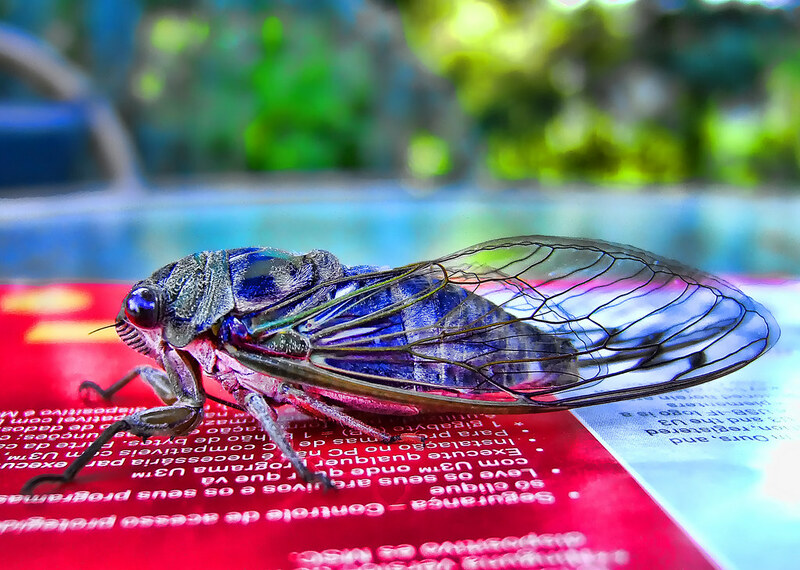 The other day a car alarm went off and the cicadas seemed to reply. One of the biggest Japanese sports events of the year is held in August. It's the National High School Baseball Championship, called Koshien for short. It is always held at the Hanshin Tigers Koshien baseball stadium between Osaka and Kobe. It's the essence of sport. Full of drama and excitement yet still pure and innocent. As the first epigraph quotation explains baseball distills down to a duel. An ultimate duel between pitcher and batter. High school baseball is a team sport. But in Japan it's also a martial art. On the last day after the final the siren sounds to end a game for the last time. Until next year. It's the sound of summer ending. 33 Responses to "sounds of summer"
Thanks, Daian. You are right - uruwashii usually means beautiful or graceful. Here are some links. There are different versions of Itsuki no Komoriuta. http://www.fuku-e.com/lang/english/places/culture.html There is an Aoba no Fue museum in Ono City in Fukui. No Problem, Carina. Please feel free to ask any questions any time. Thanks for those references. Now I remember the title, it was Aoba no Fue: the Flute named "green leaf" The Heike were called "utareshi" which I think refers to "Having songs, or singing" in this famous song I mentioned, it's beginning to come back to me. At least one of my students, Marianne, may be interested in practicing these songs together. Thanks for your good wishes you sent her! (cont)Friends and foes alike wet their sleeves with tears and said, What a pity! Tadanori was a great general, pre-eminent in the arts of both sword and poetry. Thanks and sorry for asking Niall, but I wanted to learn, and I had no one here whom to ask, as I said I could have searched in internet. Just do the introduction if you really like, I found this in wikipedia Taira Tadanori (a samurai who appears in the Heike Monogatari) demonstrates that warriors idealized the arts and aspired to become skilled in them. One of the dangers of analyzing in detail is that people might think writing a haiku is constrained by rules when really it's very easy. OK I'll think about how to introduce it. I mentioned before about bun bu ryo do 文武両道: the pen and the sword - both ways. Samurai were supposed to excel at both writing and war. Thank you so much Niall for the detailed explanation, it is never too much, but it must be difficult to write a haiku thinking about everthing you have to bear in mind. And thank you Diana for your kindness.